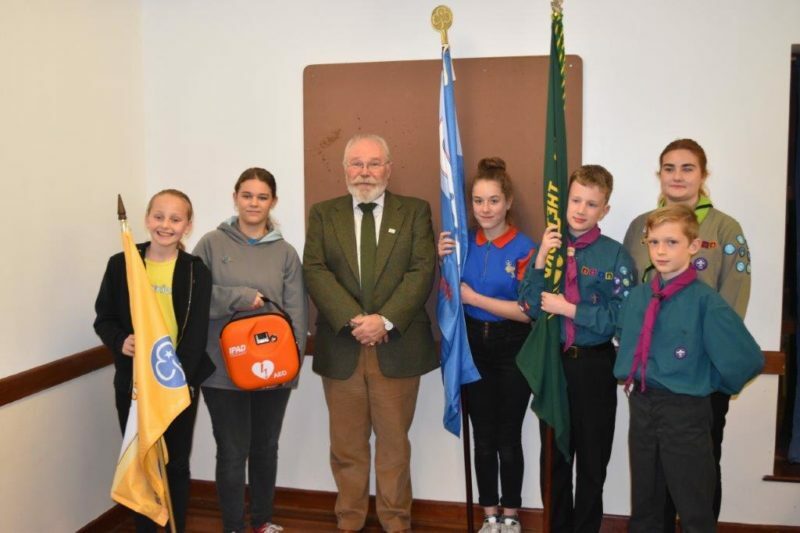 On November 22, David Human (District Commissioner for SW Norfolk) hosted an evening at the Bidwell Centre to officially receive the AED (Automated External Defibrillator) that has been purchased with donations from the East Anglia Mark Benevolent Association via St Winnold Mark lodge at Downham Market and Breckland Mark lodge at Thetford. 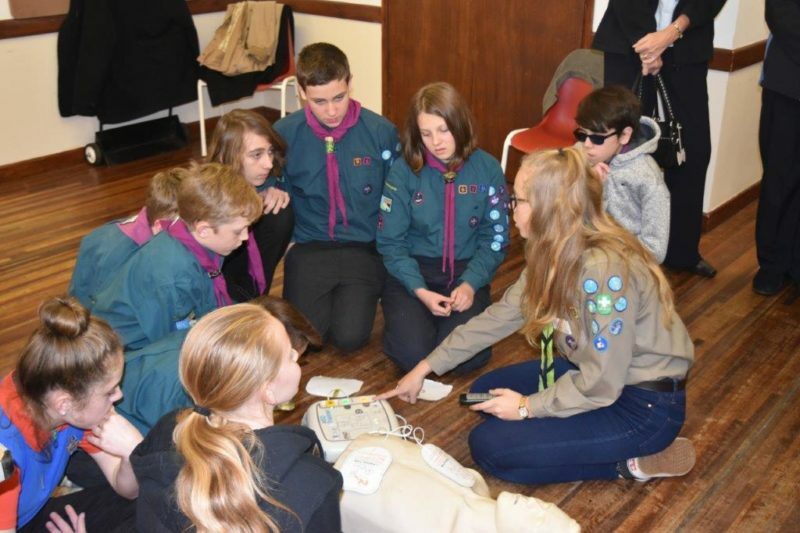 A total of £1000 was donated towards the purchase of the AED with the remaining balance being funded from South West Norfolk District Scouts. 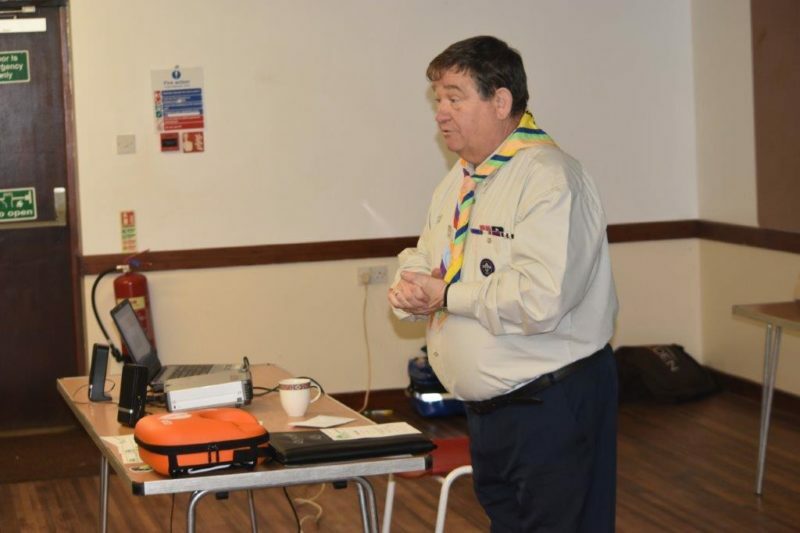 The event was hosted at the Bidwell Centre, Thetford, with guests from Norfolk Scouts and Guides as well as R W Bro Paul Norman, Provincial Grand Master of East Anglia Masons and the President of SW Norfolk Scouts committee, Jack Walker (aka W. Bro John Walker). There were also some fellow Masons who attended to support the evening. David gave a short presentation on how it is important for the Bidwell Centre to have an AED for everyone to use. It was described that in this rural location, it can provide lifesaving support if required to anyone using the centre, or members of the public. There was then a demonstration on how the AED would work. 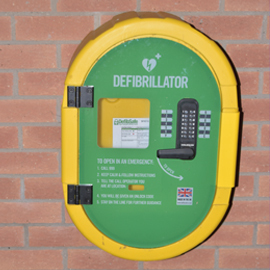 This was conducted with a training device which demonstrated how easy an AED was to use. Abby (Explorer Scout) took part in the demonstration and commented how simple it was to use. She then continued the demonstration with some young people in small groups who all had a turn at using the training AED. 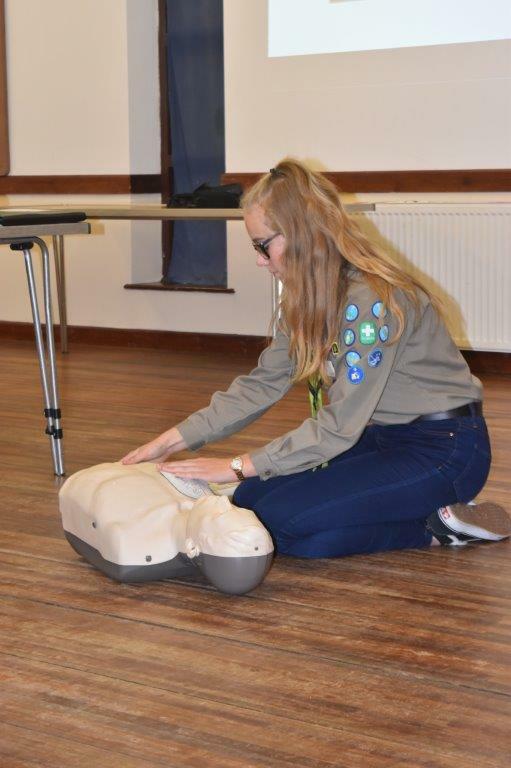 Abby went on to say that she had recently completed a First Aid training course and using the AED was part of that course. After a short buffet, we managed to speak with R W Bro Paul Norman. We discussed how important it was for Norfolk Scouts to work with the Masons as there were lots of opportunities for funding help. R W Bro Paul Norman thanked Norfolk Scouts and Guides for all that we do for the young people of Norfolk.